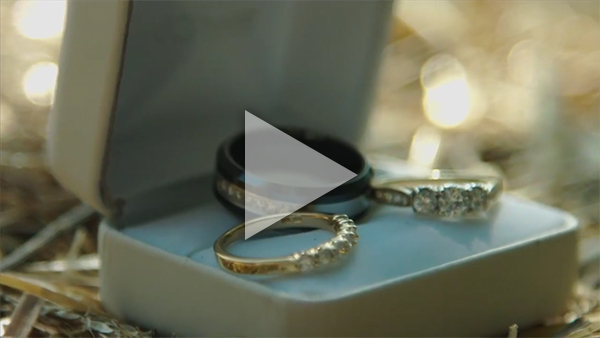 If you've recently been engaged, we'd like to say this: Congratulations! However, if you now feel the looming anxiety of having to orchestrate any aspect of a wedding, fear no more. Here's where the fun begins. 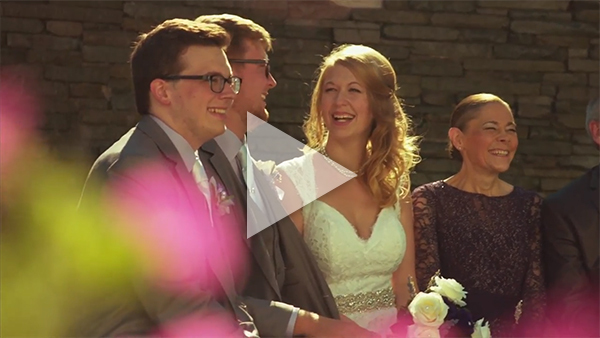 With Project 11:11, your dream wedding awaits. 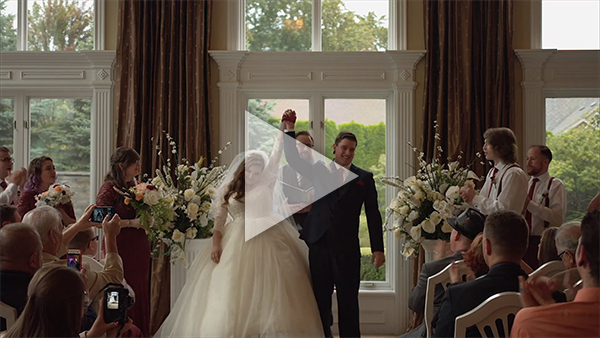 As an all-in-one entertainment company, weddings are no exception. 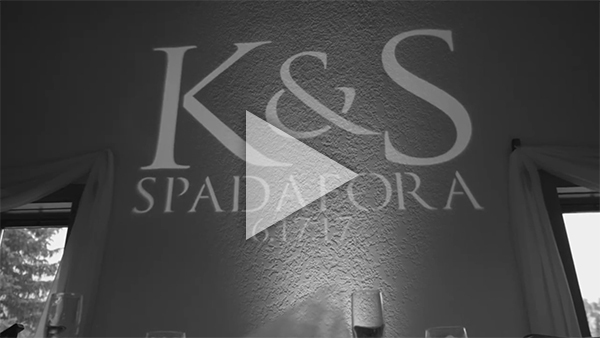 We have over 10 years of experience in creating wedding experiences that will live forever in the minds of all in attendance. 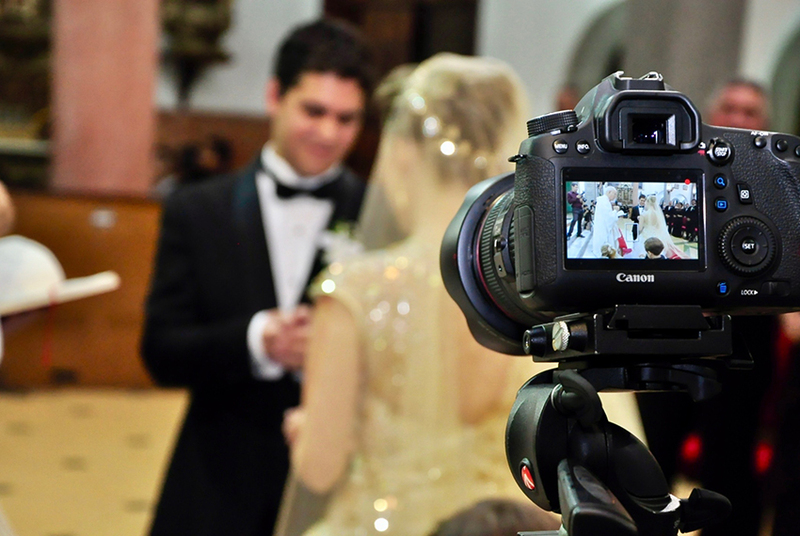 From planning to videography, our team is well-equipped to manage all the aspects of your big day. Check out all we have to offer by perusing the different experience packages and services below. If you have any questions, don't hesitate to contact us by phone or by emailing us here. 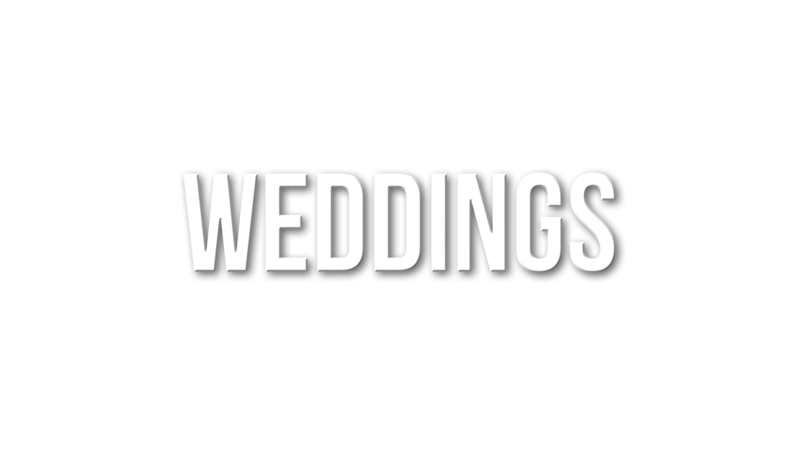 In order to ensure everything in your wedding goes off with and without a hitch, we recommend the lovebirds utilize our highly rated wedding planning services. We handle the decor, the staging/floor installations, the sound, the lighting, the photo booths; anything and everything for which you want us in charge, we can handle. 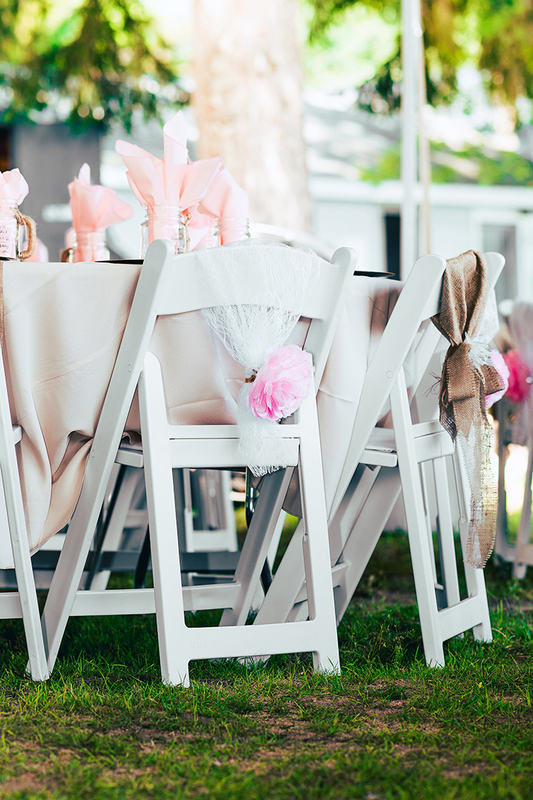 Of course, we'll work closely with the newlyweds not only to confirm potential ideas and implementations that they're sure to love, but also to get their input on any potential venues, wedding colors and themes, music choices, and save-the-dates/RSVP designs, to name a few considerations. There are three tiers of wedding packages we offer, each more extravagant than the last. Make no mistake - all of our packages have been met with nothing short of 100% satisfaction. 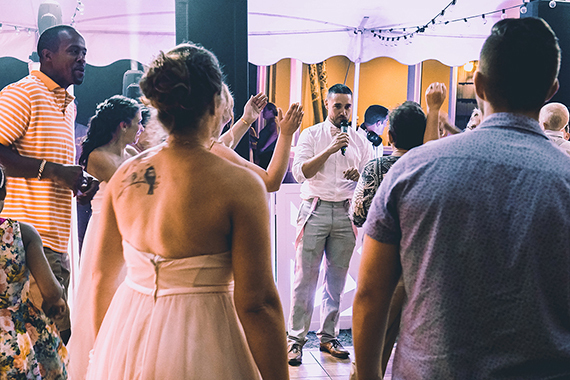 If you only need an DJ/MC to put the finishing touches on your otherwise perfect wedding, then elevate your wedding with this smaller scale package. With this, you'll get essential sound equipment, a disc jockey for up to 6 hours, a dance floor with select table lighting, and the OMG photo booth. Go all out with complete sound & customized room lighting, DJ & MC for up to 6 hours, first dance experience with choice of spotlight, Magic Mirror photo booth, and your choice of 1 special effect. Let your memories be immortalized with our advanced capture services. We have a host of professional photographers and videographers on staff ready to commit your auspicious occasion to film, so that you may relive it in full HD quality. Feel as though you were there again and experience the parts you couldn't the first time. You should be enjoying your day, and not worrying about committing every little detail to memory. Our staff picks up the slack in that regard, and once we hand off the footage to you, you'll get to enjoy your magic day on any day and every day you wish. Ceremony off- site? No music? No problem. 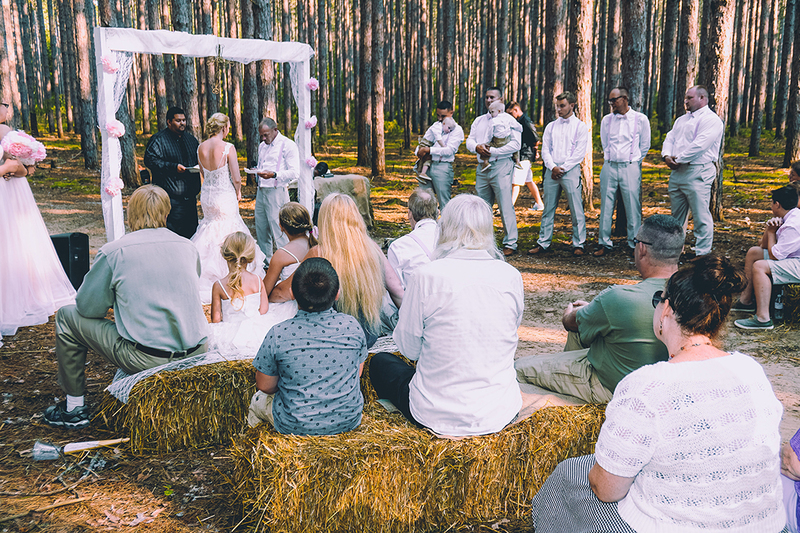 With our portable Fender sound system, your ceremony will sound perfect in any location. Includes system and wireless lapel for up to 30 minutes. Leave your guests in awe as they gaze upon a cannon-launched cloud of confetti. Confetti is fully customizable. Includes 1 shot. Our decor options are virtually limitless. Interiors, exteriors; it makes no difference. All that matters is style, and we got it in spades. Check the Decor page for more information. Prices are based on materials, time, and setup. Monograms are the perfect way to really put a name on your wedding. 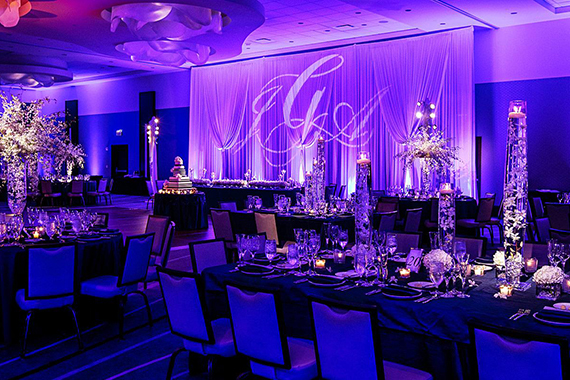 One of our in-house graphic designers will work with you on an elegant design that will be projected on the walls, ceiling, and/or floor of your venue. We'll help you create the perfect hashtag for your event. Geofilters give another element of personalization for your special day. The new Mr. and Mrs. will look and feel like they're floating on air with this beautifully angelic effect. Dry ice fog machines are used to create the 'clouds', meaning that there's no messy liquid. It also means that the cool fog lays low instead of diffusing upwards, further completing the heavenly illusion. Coverage duration approximately 10 minutes. 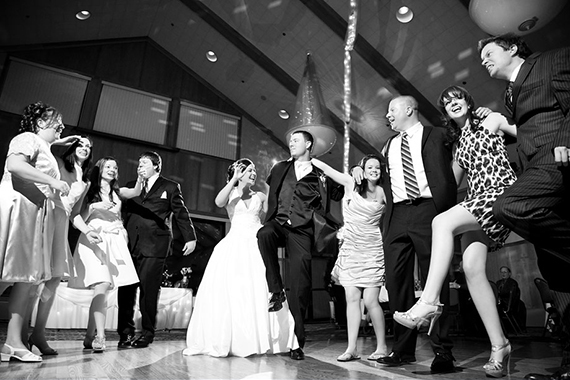 This is the perfect effect for an important entrance or first dance. Utilizing our special Sparktacular system, you can be sure to astound and amaze, without setting the town ablaze. State of Michigan Fire Marshal-approved, this system produces no heat; a person may place their hand over any of the "flames" without fear of injury. A staff favorite. 1 dance included. Project 11:11 employs the use of the latest lighting technology along with our licensed technicians to create brilliant light shows beyond compare. Includes 4 custom-programmed Intimidator Light moving heads. Our lighting towers come in 4,5, & 6 foot heights. Each truss is positioned vertically as a pillar and then adorned with a white stretch-wrap cover. When lit from the base interior, a pleasant diffuse glow is produced. These function well in a variety of places, especially at the corners of a dance floor. Minimum recommendation of 4 lighting towers. Want the Hollywood treatment? All eyes are on you when you select our Spotlight Entrance option. My sister and I were getting married a year apart, which for me was great! After her reception I knew my search for reception planning was over! Project 11:11 is and was truly amazing, they provided a dj, lights, photo booth, photography AND a planner! We were just blown away by the attention to detail, they were able to take our country meets city idea and make it more beautiful than my wildest dreams. Thank you so very much for my sisters perfect wedding and my even better one! Most of my family lives across the country and with their lives and responsibilities, there was no way for them to come and help me. Planning my wedding was now completely on my shoulders and I was going crazy trying to figure out every detail. I talked to a friend of mine and they told me that they researched and Googled and finally found the answer to their prayers. Project 11:11! They helped me with every aspect of my once-in-a-lifetime wedding and even came up with some ideas I had never thought of. I can't even imagine how I would have gotten everything done without them. My wedding day was everything I had dreamed it would be and more. Project 11:11 is the best event-planner around! They were so accommodating with everything we asked for! They went above and beyond our expectations. From Fireworks to up lighting. Their team stay up all night, setting up our venue, created beautiful photo albums, had amazing surprises for us the day of our wedding and even cleaned up the venue until 5pm the day after to assist us with our Destination wedding. My family and anyone that attended would highly recommend Project 11:11! Mr. & Mrs. Spadafora Wedding 2017! We provide the best wedding services. Good vibes and happy feelings!